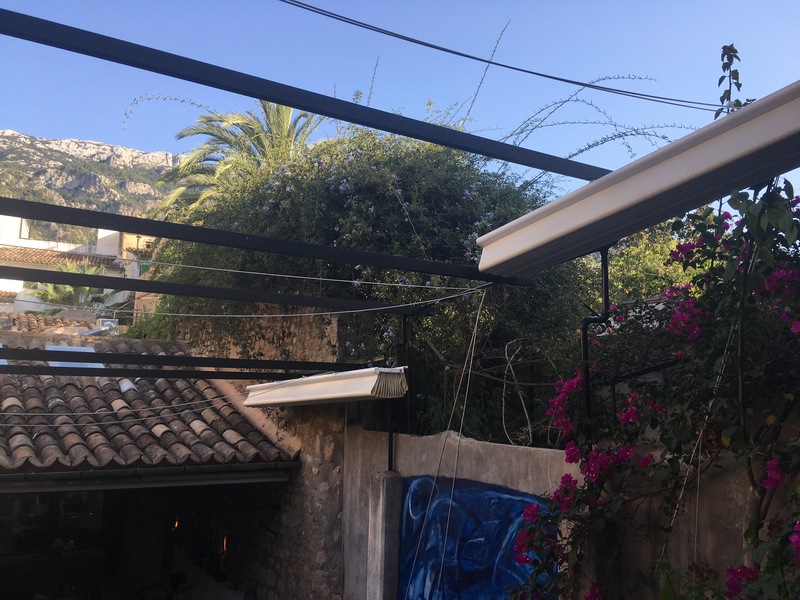 Situated in the beautiful, family orientated town of Soller, Spain, Luna 36 is a must try restaurant, (menu on link) whether you wish to try delightful tapas dishes, or a more substantial main meal of butterfish, or beef, perhaps. 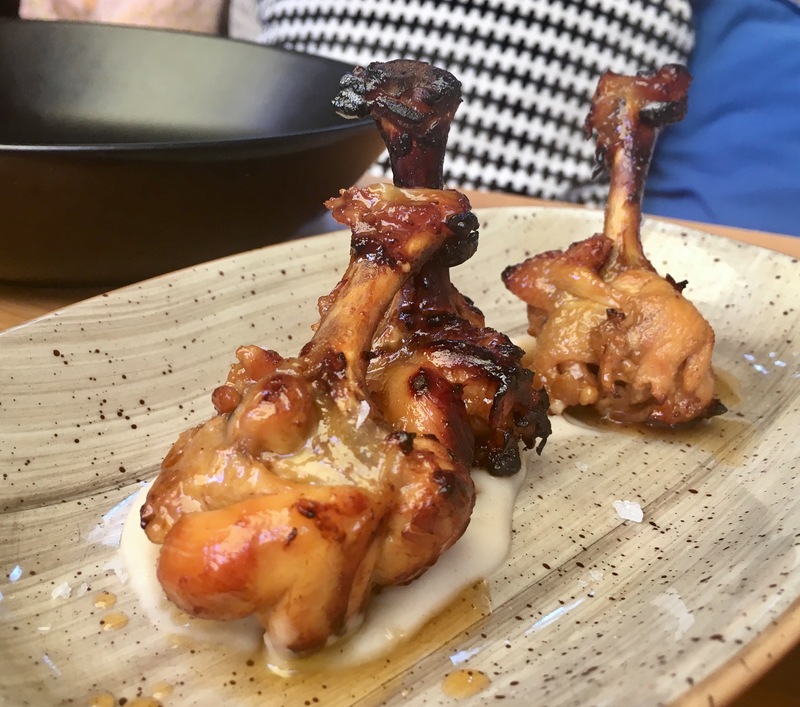 They even have chicken lollipops for the children (photo below)! Simple and not overly packed with flavours. 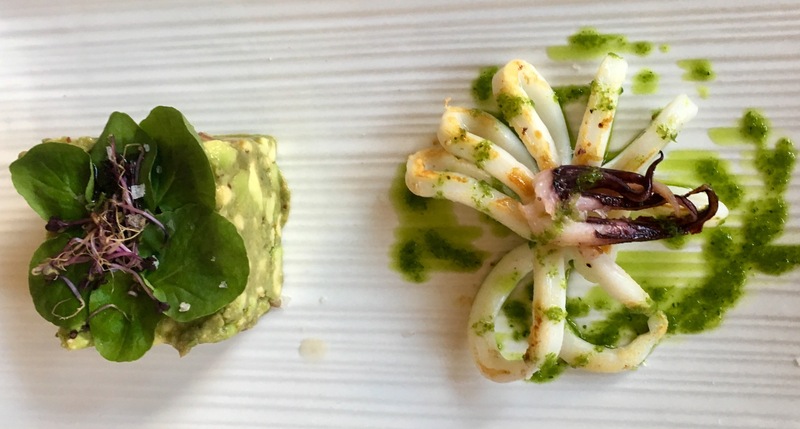 The brightly, creatively displayed dishes (as with the calamari salad below) are only representative of the beaming, radiating service you will receive on entry. The tapas were all superb, from the sweet, refreshing ceviche (a popular seafood dish in the coastal regions of Latin- America), to the more savoury, exceptionally soft shrimp salad. From the huge (and I mean double the size of shop bought ones in the UK!) 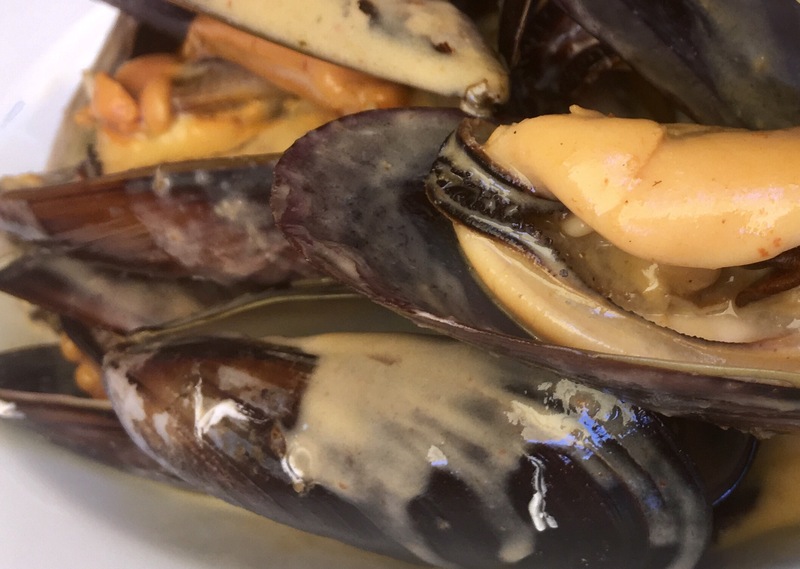 mussels (below), flavoured with Thai curry sauce, a nostalgic moment for me, as a reminder of my wonderful travels to Thailand a few years ago, to the slightly smoked tasting octopus, I definitely recommend endulging in them all, if you can manage! Particularly any specials, which during our visit, included salty, creamy, battered turbot wings! An unexpected treat! As a lover of creme brulee, I am always reluctant when trying new brands, however I was not disappointed with this crispy, sweet topping and light, creamy filling; a perfect ratio of both, too! Having just spent a week in Sardegna, Italy, I cooked this Mediterranean Stuffed Pepper Recipe, (click words for link to recipe) with a Sardegna twist (photo above). Fregola pasta (originated from Sardegna) replaced the cous cous, which was meant to be inside the lightly fried, juicy peppers; subtle tasting, soft mozarella complimented the dish, despite bitter feta cheese having been recommended in the recipe: the olives provided the required sourness instead. I would use this dish to accompany a refreshing side salad, or as a main dinner dish, depending on the size of peppers purchased; as you can see, the ones we bought were rather large! Two halves were perfect for a single portion. It’s a simple, quickly prepared dish. A combination of a variety of textures, colours and tastes; a dish which is very adaptable to accomodate different tastes. Highly advise you to consume under the blissful summer sun, either on holiday or in the comfort of your own home.